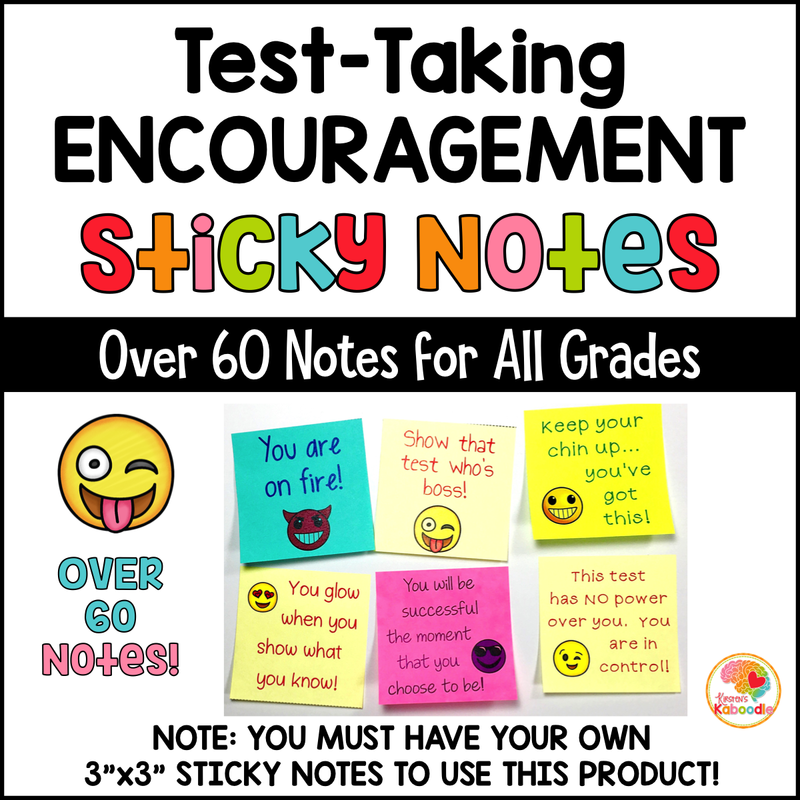 Once you read the printing instructions, these 66 encouraging sticky note messages are easy to prepare and can be used in a variety of ways. 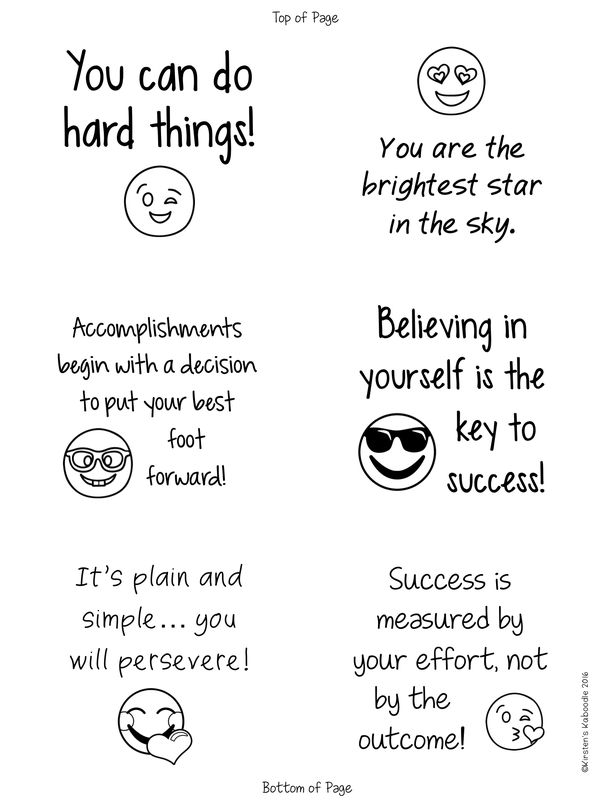 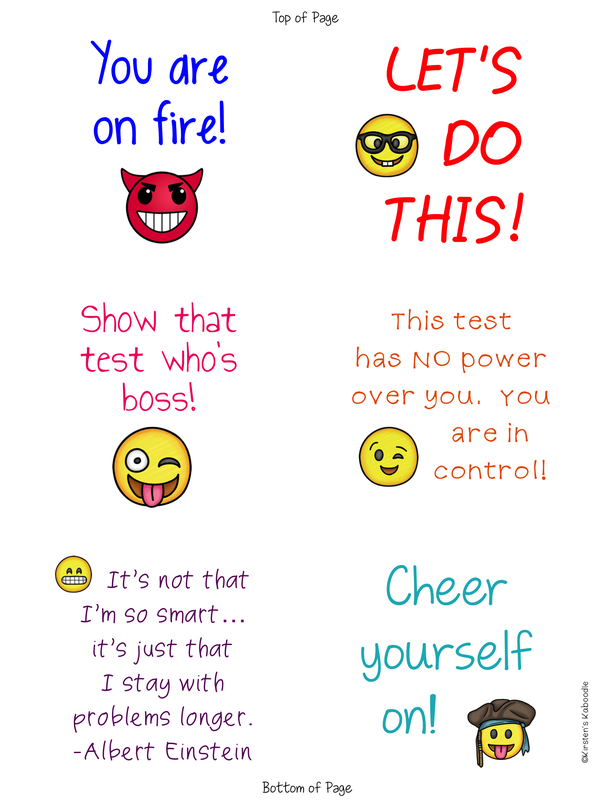 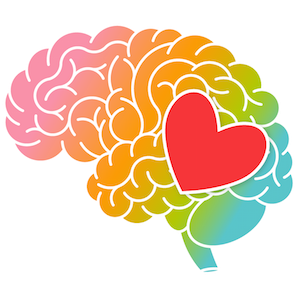 Teachers can place them around the classroom, surprise them by putting them on student’s desks, stick them to walls and/or mirrors throughout the school, arm parents with them to display at home, or allow students to choose which messages they need most to be successful on testing. 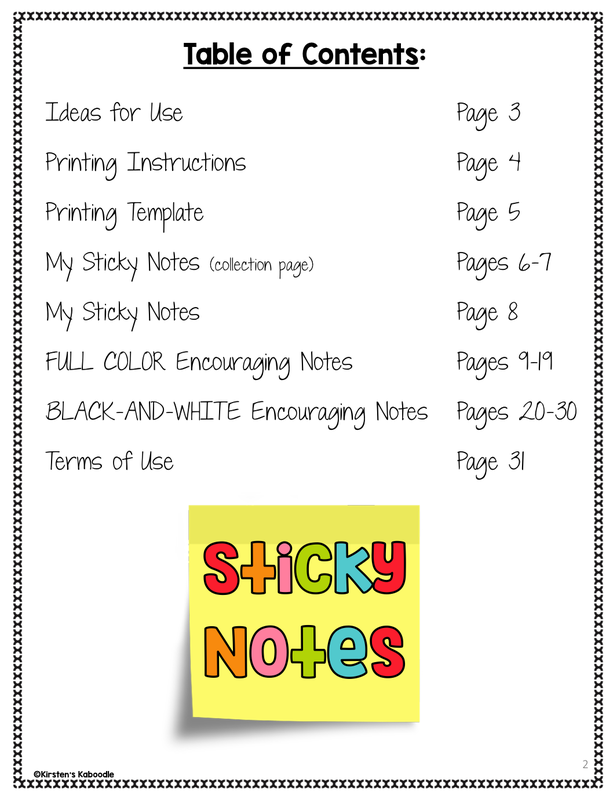 This product contains 31 pages.